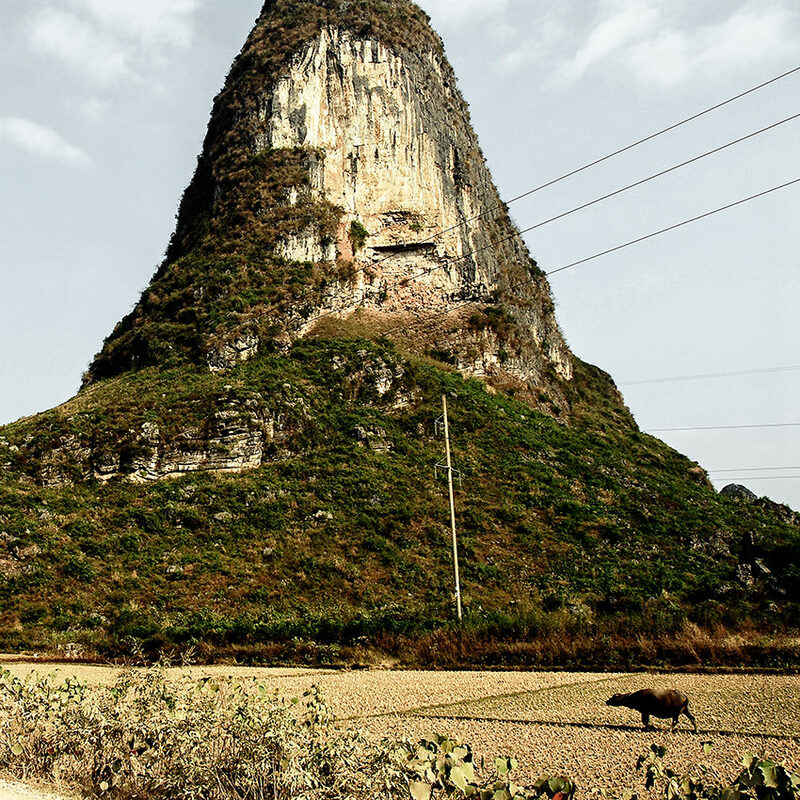 In south China, around Yangshuo, a cow is in a field at the foot of a karst mountain. Life is organized primarily around agriculture and tourism in the Chinese south along the Li River . A cow is in a plot of land at the foot of a sugar loaf-shaped mountain near Yangshuo. La vie est essentiellement organisée autour de l’agriculture et du tourisme dans le sud chinois le long de la Rivière Li. Une vache se trouve dans une parcelle de terrain au pied d’une montagne en forme de pain de sucre non loin de Yangshuo.